Emory immunologists are navigating the headwater of transplantation research to find the sources of natural immune tolerance. 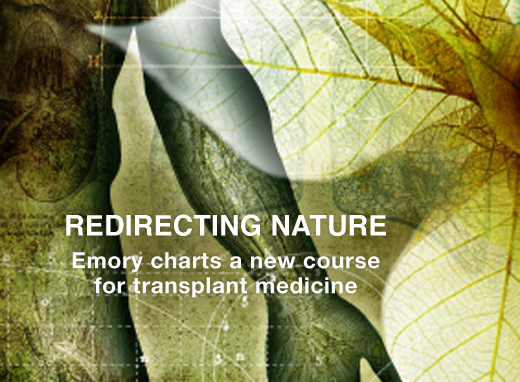 Their discoveries hold promise to chart a new course for transplant medicine. Grapes and green tea for good breast health? Emory Health is published quarterly for our community neighbors as well as faculty, staff, affiliates and friends of the Woodruff Health Sciences Center of Emory University. Published by the Health Sciences Communications Office, the magazine is made possible by support from the Robert W. Woodruff Health Sciences Center Fund.